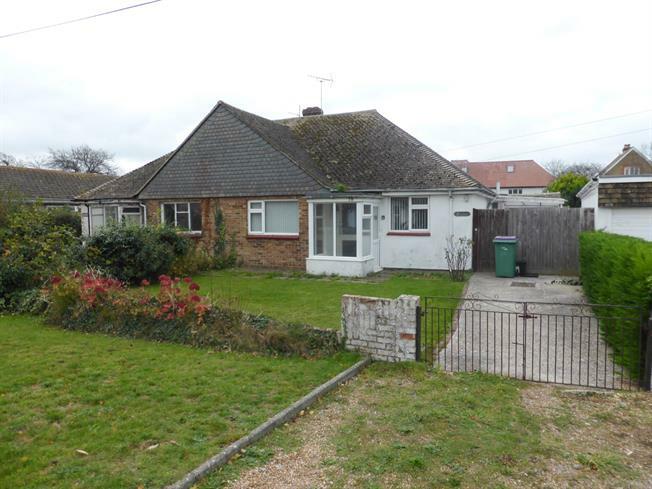 2 Bedroom Semi Detached Bungalow For Sale in New Romney for Asking Price £260,000. You have been fabulous! I understand it is your job but I have felt that it mattered to you and that is really important during this process. Superb opportunity to purchase this two bedroom semi detached bungalow in sought after St Nicholas Road with no chain. The lounge has a gas fire and opens into the dining room which is a double aspect room with window to side and patio doors to the rear opening onto the garden. The kitchen overlooks the rear garden and has a range of wall and base units with sink set in work top, spaces for cooker, fridge, freezer and washing machine. Door to side lobby with door to side. Two bedrooms to the front of the bungalow and shower room. Garage, car port and off road parking. Large rear garden mainly laid to lawn with summerhouse.